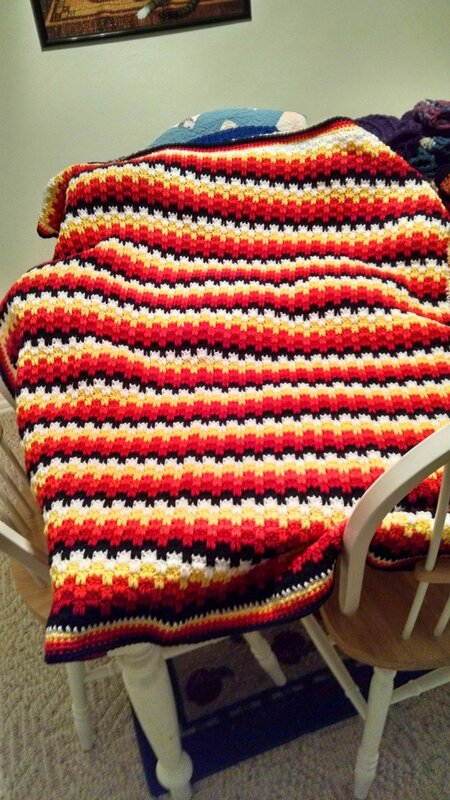 This is my latest finished afghan. Pattern is Leaping Stripes & Blocks. Colors are I Love This Yarn: Black, Red, Orange, Yellow and White. I really like that pattern. Your colors show it so well. Wow! That pops with colors. Nice job too. You should enjoy it for a very long time. Thank you for sharing. It's gorgeous! Love your color choices! Just beautiful. I love the bright colors. They are perfect together. Wow! That is a beautiful afghan. 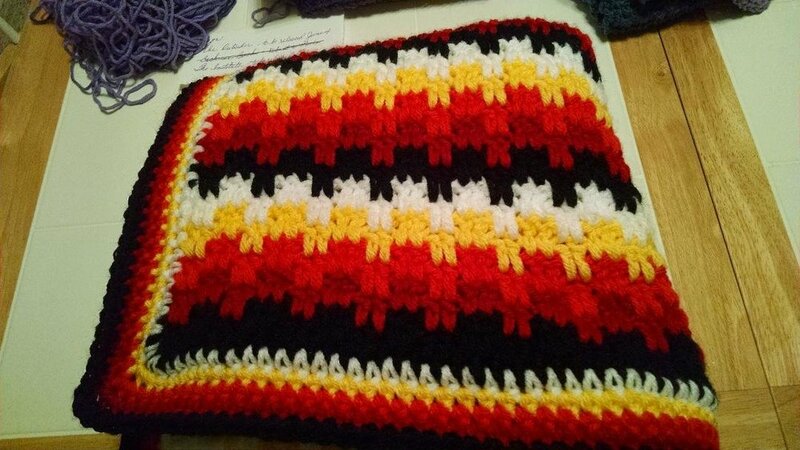 I have to make this afghan in these same colors. I looked at it again today and was like, Matthias would love this. He is almost 7 and I thought to myself, this looks kind of blocky like minecraft and also I bet his little mind will see lava. I showed him the picture and he was like "It looks like lava!!" and his next comment was that it looks like minecraft. So yep, making it. Would love to see yours when it's finished!! Have fun !! Thanks! Bought the yarn last night. I love this yarn has a few different reds, I couldn't quite tell from the picture which shade you used, I went with cranberry. It was on sale though so I got 10 skeins for 36.00 which wasn't bad at all! Starting it today or Sun. Beautiful blanket and love the yarn colors you used!